This beautiful 4 bedroom villa is located in the town Inca within walking distance of restaurants, shops and supermarkets and with easy access to the sandy beaches in the North of the island. This town-villa offers a surprisingly large and lush garden but has the convenience of being located in town, in the morning it’s a short stroll to the nearest bakery to buy fresh bread and croissants. There are 4 double bedrooms with en suite bathrooms, three of which are located on the first floor and the last room is situated on the ground floor, all rooms are air conditioned. On the ground floor there is a large gourmet kitchen with dining area, next to the kitchen there is separate dining room and a large living. From the kitchen and dining room you have direct access to the covered terrace with lounge area and dining table to enjoy long dinners on a warm summer night. When walking down a few steps you get to the lush garden with lawn area and the 5 x 8 meter swimming pool. The property is completely fenced, there is a private parking space for 3 cars. The villa offers Wifi internet throughout. There is 12 hours of maid service included, the maid can clean, cook and look after the children. 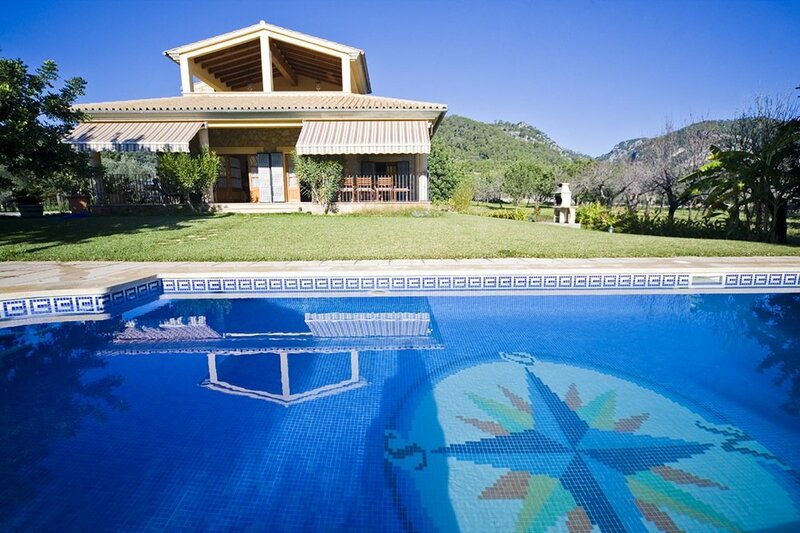 Villa Muntaner is a lovely villa for families with children or groups of friends.